So if you too have a requirement for some freak Redhat/Centos GUI lovers and you have the only way to provide the same through SSH, probably it will help you out. Like if you own a linux workstation there is a Linux Workstation located remotely and VNC access , Vino access is strictly prohibited over there and the only protocol that can be used is SSH, then this is the exactly the post you are looking for. First of all, you need to simply ssh to remote linux Host. The moment you logged into the remote host it will provide you the default shell with default location, it varies for all of us. Now to toggle the directories further graphically, simply run the command gnome-open . 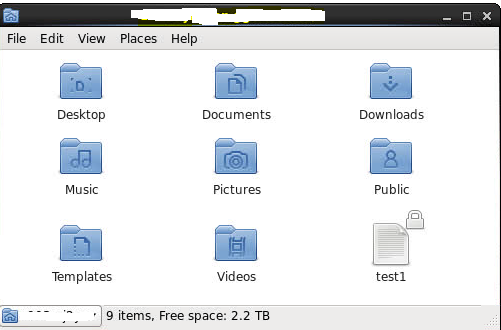 The moment you enter it, a pop up window will appear showing the default present folders and file. If you want to toggle the know directory use it.